The sun has gone down the horizon in Mumbai ending another gruelling yet concluding day of the terror siege which locked down India's financial capital for the last 2 days. The world was on its feet, sleepless with India and Mumbai to see how 10 perverted minds could hold 1 billion Indians to ransom and bring down a fearless, sprawling, charismatic and cosmopolitan megalopolis to a virtual standstill. The media quotes it as unprecedented, atrocious, calamitous and all kinds of adjectives you could imagine. Yes, the style and scale of the attack singles this one out, but I'm genuinely surprised at the element of surprise attributed to Mumbai 26/11 from many corners. Yeah, I'm not surprised, and I'm sure I'm not alone on this count. Such a massive, co-ordinated and crushing onslaught was long overdue in India, given the impassivity and laxity of our administrators towards the threats posed by Islamic militants. And who doesn't know that Mumbai, with all its glitz and glamour, volatile and disturbing past was always a prime target for these perpetrators?? Wasn't the 2001 Parliament Attack and the Akshardham Temple attack the following year precursors to such a pattern of attack on soft yet high intensity targets? The bitter truth is that the largest democracy in the world, with the largest and modern armed forces and a host of so-called intelligence agencies failed miserably, yet again, to protect the lives and property of its citizens and guests. The US has been insular to terrorism since 9/11 and the UK too has learned its lessons well after 7/7 bombings but the painful fact is that India is yet to get the message inspite of being under the battering ram multitude no of times. There is no denial that our youth, especially Muslim ones are increasingly falling into the fundamentalism-thoughts trap. More and more states are coming under the spotlight for being the breeding ground for religious extremism and anti-national activities, Kerala being the latest one with the red line under it. In 2001 when L.K. Advani slammed Kerala as being a safe haven for terrorists, it created a ripple of laughter across the state. The humour seem to be over when some of the terror trails in the country led back to Kerala. 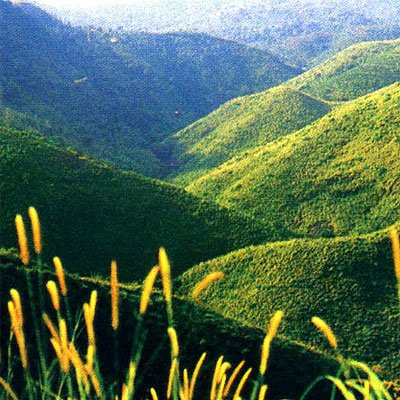 The state was literally shook when the investigations into the recent Ähmedabad blasts cut a definite, clearcut track back to Vagamon Hills in Central Kerala. A visibly white faced and bewildered state Govt finally woke up to the grim reality of the new image of the 'progressive Kerala state' and society. The Govt suddenly 'discovered' that Kerala has over 700km of unguarded coastline and that the activists of the banned SIMI group had indeed been roaming around freely in the state. The dawning of the fact that terrorists are becoming more co-ordinated, indiscriminate and regular has become a hard pill to swallow. The random nature of the locations chosen for the attack is sure to give insomnic nights for the authorities. Strategic institutions like VSSC, LPSC, the proposed Aerospace Command, Naval & Air Commands etc might take Kerala into the books of the wrong people. 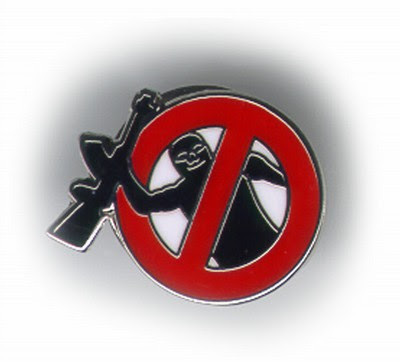 In any country, the most important elements for public safety is the Police. The Kerala Police at its best is equipped with a lathi and a fossil firearm which wouldn't kill a crow. Pitting them against the insurgents we saw in Mumbai would be like Indian Rugby team fancying their chances against the All-Blacks. 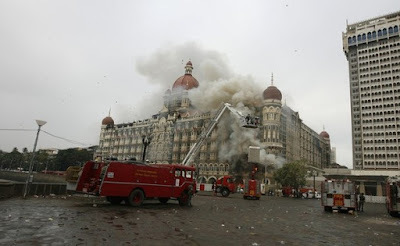 Mumbai has also demonstrated the crucial role of Firefighters in a counter-terrorist act. The highest point our traditional firefighters can reach is 60m and as per rule there must be a helicopter to deal with fires above it. Kerala has pitched in for highrise IT Parks and Hotels crossing the 100m mark and our Fire Force doesn't even have a proper headquarters, let alone a chopper! So every state, including ours should, and MUST learn from Mumbai 26/11... Getting the priorities right is the most important. Mumbai has taught us that a 7 star hotel, or a high end mall or a Multiplex is not worth its salt if you compromise on the first element: Safety. 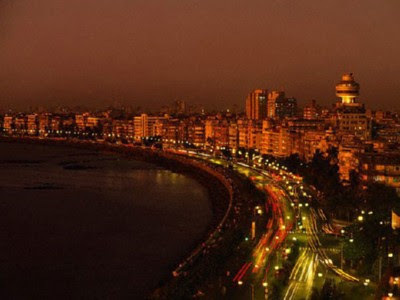 Mumbai has underlined the necessity to resuscitate our state and national intelligence agencies to do the job they were designed to do, instead of collecting vote-bank details and spying on other political fringe groups which they're forced to do now. The most effective way to deal with terrorism is to think ahead of them, instead of thinking on our feet which we are practicing now. 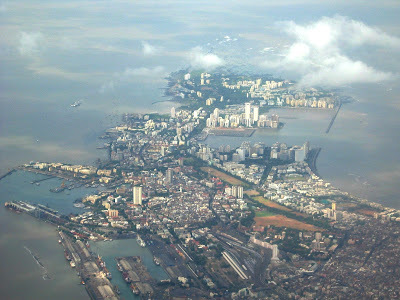 Lastly, Mumbai will exhibit to the world how big a heart it has... Mumbai will bounce back, and I can't but smile at the fretting that we are going to see a different Mumbai from tomorrow. Yes, different in a sense that we could well see a safer, better metropolis for its citizens.